Bhai Pritam Singh Ji in his katha of select Shabads of Raag Sorath SGGS Ang 634-642 starts with Guru Nanak Dev Ji’s Shabad that talks about a bairagi, someone who is detached from the world and attached to God. The person is not affected by duality. 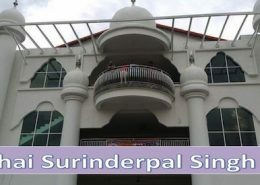 Veechar was at Shah Alam Gurdwara on Tuesday September 18th, 2018.